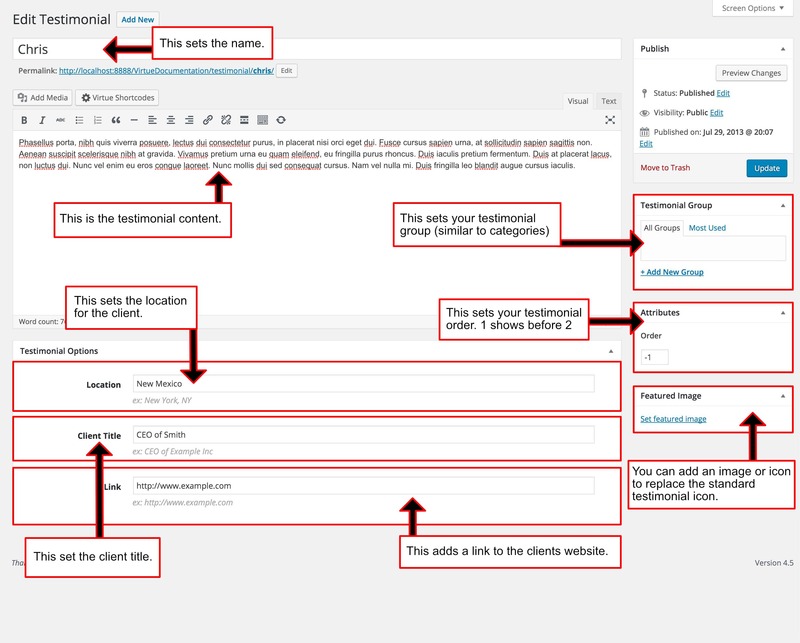 To create a new testimonial post go to your wordpress admin >> testimonials and click the new testimonial post button. You will see a page that like the one below. This sets the location for the client. This sets the client occupation title. This adds a link to the clients web site.